Actress Na Hye Mi�shared her love story. 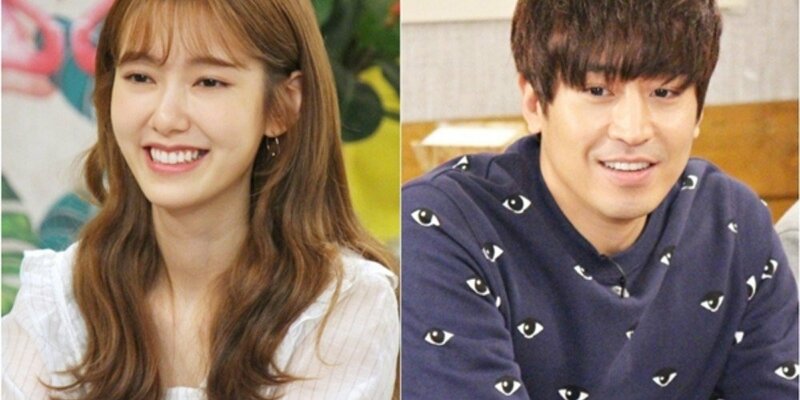 On the September 13 airing of KBS 2TV's 'Happy Together 3', Na Hye Mi revealed how she first met her husband Shinhwa's Eric. She said, "To be honest, I didn't have any connections to him but he texted me. He said, 'Hello, this is Eric'. I thought it was a joke or someone who was impersonating him." However, it was indeed Eric and the two became close. She explained, "He said he first saw me in a magazine at a salon." When asked if she was a fan of Shinhwa, Na Hye Mi answered, "Many of my friends were Shinhwa fans but I was a Sidus trainee when I was young, so I liked g.o.d." Na Hye Mi said, "I wasn't in a good mood but I had a feeling (that this was something special). So I took out my dress and put my makeup on." She continued, "I saw him standing afar with flowers in his hand. I felt sorry but also very touched."